Yogyakarta Marriott Hotel, the first Marriott branded hotel in Indonesia as well as the latest five-star hotel in Yogyakarta, is fully equipped with world-class venues along with the very best service and top-notch technology, offering guests a memorable meeting or event experience in the premium location of the cultural city. Located only 20 minutes away from Adi Sutjipto International Airport, the hotel takes the city’s hospitality standards to a higher level by providing innovative facilities where business meets leisure. The hotel’s 347 guest rooms and suites feature Marriott Modern styled decor with Javanese-inspired accents and inviting views of the pool or city, complemented with premium amenities, marble bathrooms, and 24-hour room service; whilst Suites and Club Rooms offer exclusive access to the M-Club, the largest club lounge in town. 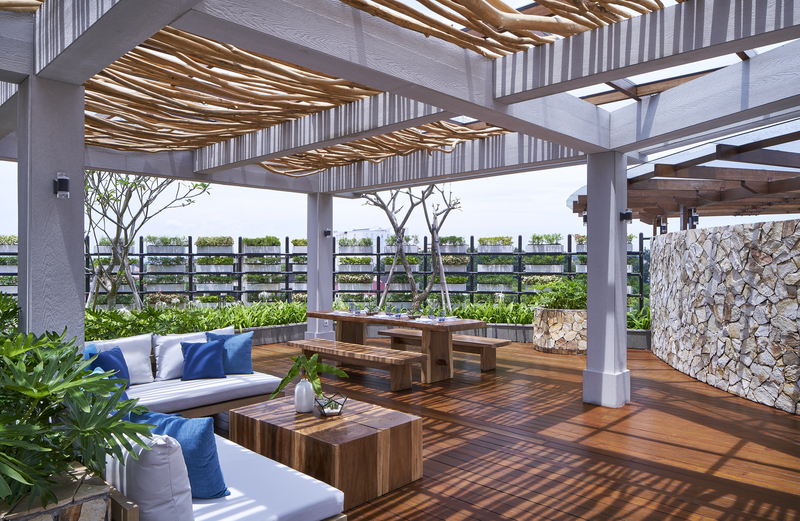 Guests can unwind in the Exercise Room, Quan Spa and outdoor pool, and savour local and international cuisines at the three creative dining venues. Business travellers can stay connected with free Wi-Fi and convenient workstations whilst meeting planners can choose from eight contemporary venues that cater to various event scales and purposes. 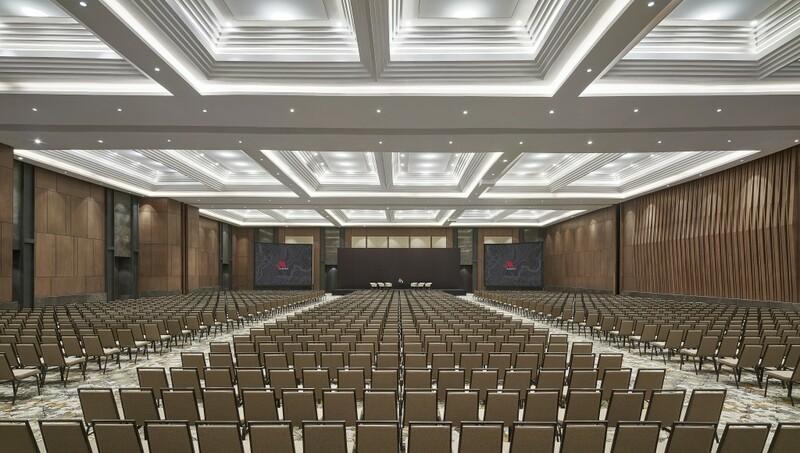 Occupying 1,870m2 of space, the magnificent Keraton Ballroom is the largest pillarless ballroom in Yogyakarta, accommodating cocktail receptions of up to 2,500 guests or banquet-style events of up to 1,650 guests. 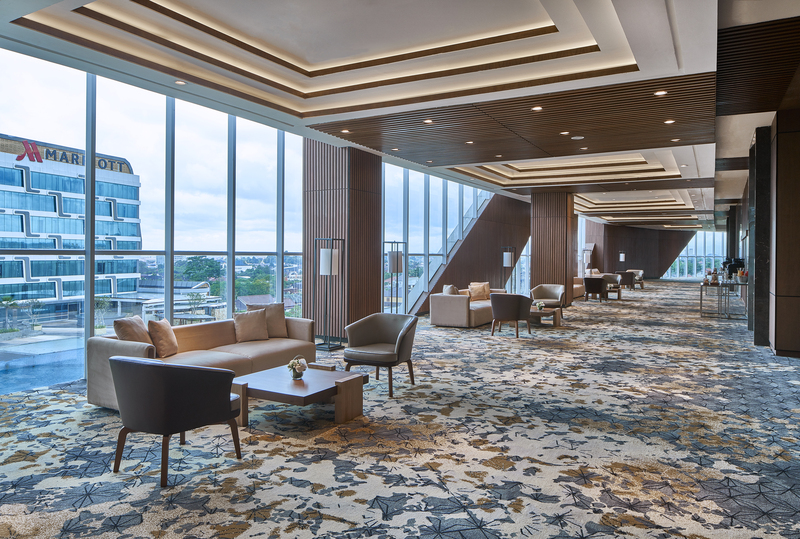 Perfect for the grandest social and business gatherings in the city, the ballroom is made complete with a lobby and foyer to provide extra space for exhibitions, trade fairs and other large-scale events. 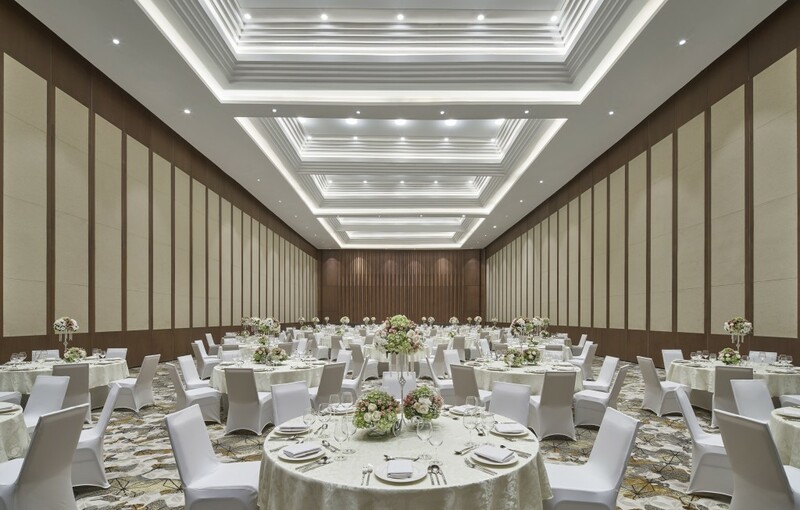 The Keraton Ballroom is designed with Skyfold Technology partitions that can transform the venue into three separate function spaces, with each space hosting up to 600 guests. 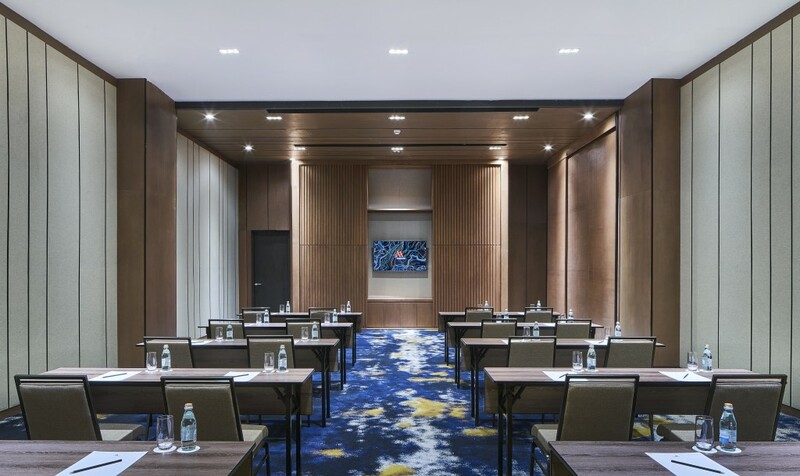 Smaller meetings and intimate gatherings can take place in the 8 Malioboro Rooms – Malioboro 1 to 3 on the lobby level can welcome up to 80 guests each for standing events, whilst Malioboro 4 to 7 on the 3rd level offer meeting space for up to 120 delegates. 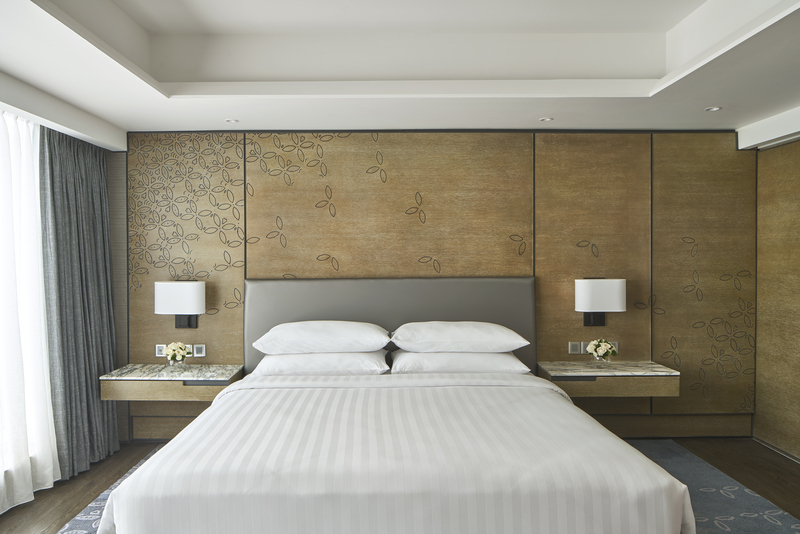 All Malioboro Rooms are equipped with the latest audio-visual technology, including large LCD screens with drop-down projectors, 42-inch TVs and built-in centralized speakers. 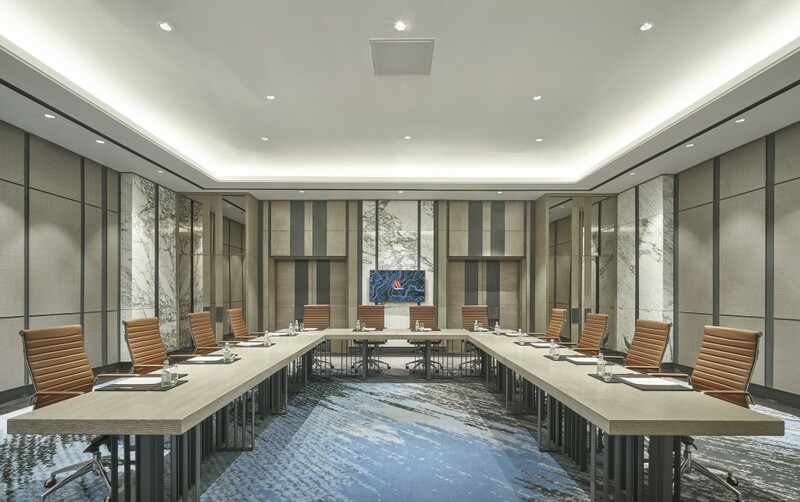 All meeting spaces also boast 176 programmable pillow lights, 360 color adjustable ceiling lights, professional high-steel platforms, catwalk structures and more, offering the best experience in town to spark new ideas in meetings and events. The hotel’s exceptional bespoke Certified Marriott Meeting Event Planners are on hand to plan, tailor and conceptualize events that will surpass expectations, arranging every aspect of business meetings and special events, from setting up the venue based on client requirements to helping select from the extensive high-quality menus. Yogyakarta Marriott Hotel is the perfect venue for the most memorable wedding, offering inspiring spaces and creative menus delivered by the exceptional events team and a curated list of preferred suppliers. With immaculate attention to detail, from valet parking and private pre-reception areas to specialty linens and expertly designed place cards, the Yogyakarta Marriott Hotel team ensures that the big day is seamless and unforgettable. 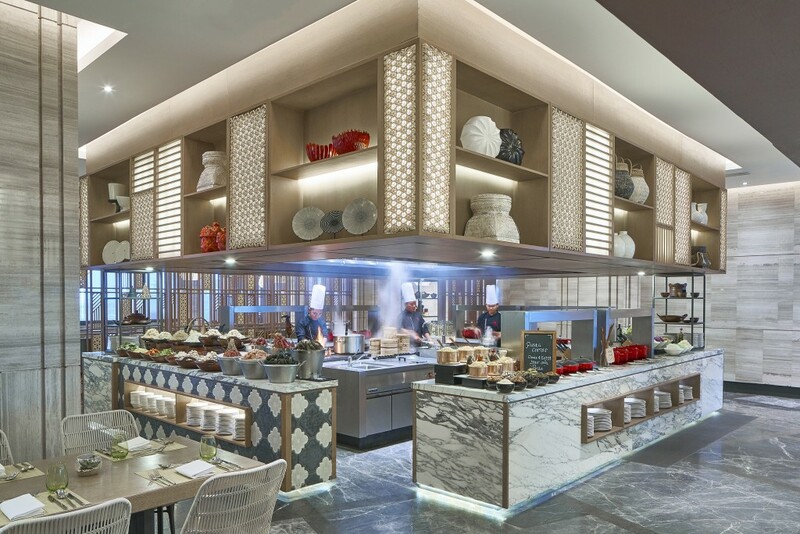 Yogyakarta Marriott Hotel is also the first to introduce Marriott’s Meeting Services App, where every detail of an event is in the palm of your hand. Make real-time requests, connect with the hotel’s team 24/7, and more – every detail is just one click away. Organizing an event has never been more stress free than this. The future of meetings with style is here.